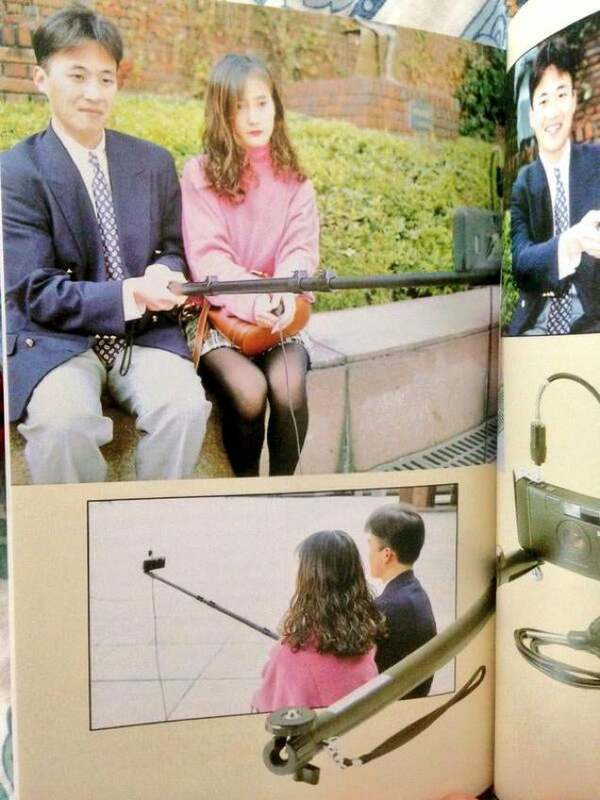 Japan Invented the Selfie Stick. In 1983. You might have heard the story about the American who invented the original selfie stick about a decade ago. Thing is, it was apparently invented in Japan earlier than that. Much earlier. The Disc-7 had one remarkable feature which stood it apart from other disc cameras. In the center of the front plate was a small convex mirror, which could be used by the photographer to compose a self-portrait. The tiltable, telescoping carrying strap was used as a focusing aid, as its length corresponded with the optimal focus distance of the macro lens. The name of the first selfie stick, which you can see here, wasn’t “selfie stick”. Why? Because nobody knew what a selfie was in 1983 (in Japanese, the common term now for “selfie” is actually 自撮り or “jidori”). When it was originally released in the early 80s, the stick was sold under the product name “Extender” (エクステンダー) as part as a kit that also included a remote shutter button. What’s important isn’t just that this was a stick you could attach to a camera, but it was a stick designed specifically for self-portraits. Likewise, the camera’s mirrored face was also created with the idea that people would use this device to photograph themselves. 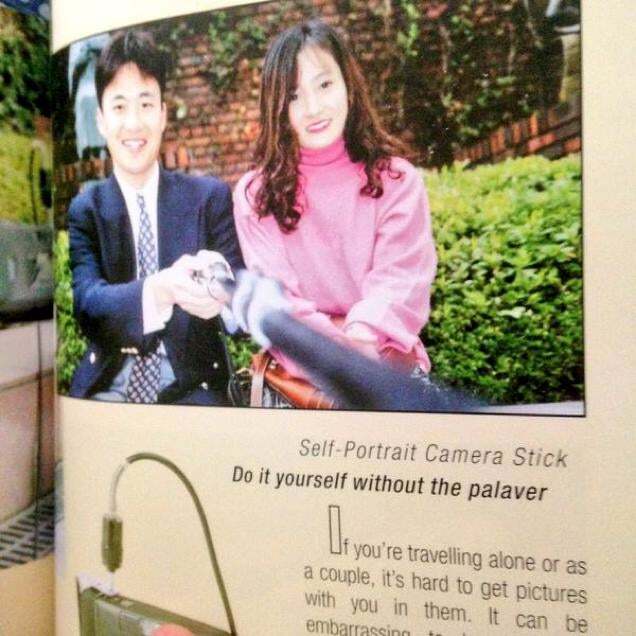 Earlier this year, Twitter user Tessr uploaded photos of the Japanese selfie stick from a 1995 book 101 Unuseless Japanese Inventions. Website Byoukan Sunday recently posted these images, pointing out that the invention is hardly new. Doesn’t look like the selfie stick was a “useless” invention after all. Annoying? Yes. Useless? Oh no.